The Blair Witch Project was something of a revelation when it was released in 1999. A found footage movie long before the fad had been hammered into the ground (although not the first as some would incorrectly say) it makes the outlandish claim early on to be based on a true story. 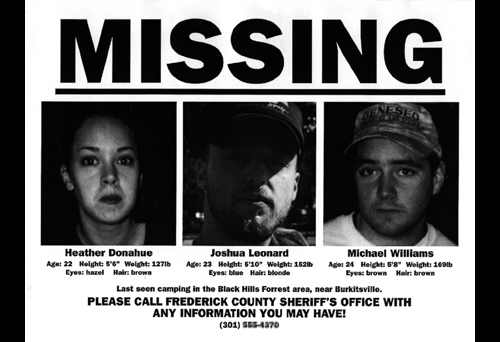 Heather, Mike & Josh are out to make a documentary about a local fable, the Blair Witch. After talking with the locals of Burkittsville they learn of a man called Rustin Parr who murdered children in 1940’s claiming to be haunted by the spirit of a witch hung in the 18th century. Parr took the children to his isolated cabin in the woods & murdered them two by two in the basement forcing one to face into the corner & listen to the others screams. The trio make their way to the woods the next day & learn of many more incidents related to the Blair Witch legend from some more locals before heading deeper into the woods. After accidently disturbing a cairn in a small cemetery they bed down for the night… this is where thinks start to get spooky. It starts of subtle…cracking of twigs & branches seemingly coming from all directions, it’s incredibly effective but also easy to chalk up to just being wild animals. Deciding to leave they attempt to make their way back to their car but find that they are lost. Each night comes & the strange events increase becoming more & more terrifying. Is the Blair Witch real or is it just some locals deciding to give the city-kids a bit of a scare? It’s funny to think now just how original an idea Blair Witch was. A minimal cast, handheld cameras, subtle scares & a great location, all things that, when done right, result in a good creepy horror. 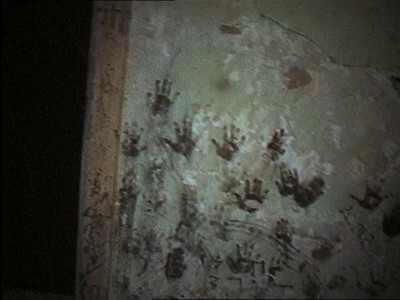 Unlike many future found footage movies, Blair Witch does a fantastic job of making it seem real. The interviews at the start with general townspeople, the cuts & the mistakes made by documentary makers all serve to give it a raw edge. The actors do a decent enough job although Heather can be a bit much. She isn’t always the most convincing & her screams seem forced at times. The other two pretty much take a backseat to her repeated instance that they carry on & that they are not lost. I have no idea how she managed to convince them when she didn’t sound convinced herself. Being a found-footage movie Blair Witch has all the hallmarks that have become stale & frustrating over the years that followed. Bad lighting, near dark scenes & sequences, far too many up close shots & possibly some of the most sickening shaky cam you’re likely to ever see. It was forgivable on first watch because this style of movie wasn’t in abundance…not so much now. What The Blair Witch Project does do better than most later found footage horrors is create an atmosphere. The early stories about events that have taken place over the centuries in Burkittsville relating to the legend really helps set up the scares that come later. Listen well to these stories as several related things will occur as the movie goes on. The movie builds its thrills well & avoids any jump scare moments. It’s a classic way to do horror…start off subtly & build towards your frantic & terrifying finale. Now some would have you believe that this is ‘one of the scariest movies ever’. That’s an extreme exaggeration…it isn’t scary beyond its subject matter, the tale told & all the unanswered questions makes for a creepy environment & situation. Better then you probably remember but not by much…time, parodies & a really bad sequel hasn’t helped its legacy but it still has the power to chill at times.